This is a re-post from Hell House Design, which is being incorporated into the umbrella group of Hell House Studios for easier maintenance and to better serve ALL of our customers. For those of you that are new to 3D Modeling like I am, there are a lot of confusing terms out there. Some of the same terms are often used in a different context in SL, which makes it even more confusing! You will have to pardon me folks, I tend to be a bit erratic at times when it comes to learning various things. I will jump from one subject to another because I am usually working on a building project in Second Life that requires a number of different elements be incorporated into what I am working on. Each of us has our learning method...we all do not learn the same way...imagine that!!!! Hands on learning is my best method of learning. Hands on and written instructions are my way to learn. While video tutorials are nice, they are not the best way for me to learn since they go at a faster rate that I can absorb. PLEASE NOTE THIS IS IN DRAFT FORM. I AM PUBLISHING SO FOLKS CAN GET STARTED BUT WILL BE EDITING THIS TO ADD ADDITIONAL LINKS. The following are excellent SL Clothing Resources that cover a wide range of "How Tos" from a variety of authors and viewpoints. Do not be discouraged or put off is the tutorial seems old. I know a lot of things have changed with the introduction of the Sculpt maps, the newer V2/V3 viewers and with Meshes in August 201l. While there is talk that the SL avatars may get a make-over at some point in the future, the same basic principles are still used to make the basic layers for clothing in SL as of today's date. Clothing creation, at least in my humble opinion, is a very complicated process. 1) Creating the actual layer textures, such as for underwear, tops/shirts, sleeves, jackets, skirts, etc. 2) Uploading your creation to SL. 3) Creating the appropriate layer to wear the item. 4) Inspecting your creation to see if it looks correct. I have been pretty remiss in blogging compared to so many others, but when I decided to do this, I set out to create this blog for myself. It is a way to record my adventures in learning a variety of things as they relate to my creating items in Second Life. 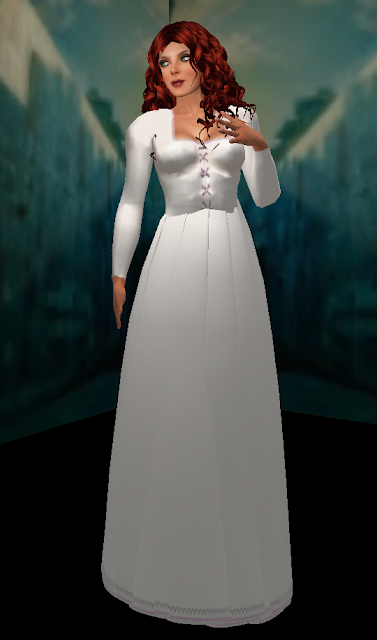 Again, making clothes for Second Life rather eludes me. While I understand the concept and can create the necessary layers in Photoshop, they never quite seem to have that bit of pizzazz that true clothing designers do. But, the real goal was to learn how to create them rather than being good at it! I simply prefer to make my little boxes to create houses and buildings for a variety of settings, mainly buildings for role play, fantasy, or something in the historical genre...or at least, my take on them. So how does as this nattering fit in to the theme of this current post? This morning I want to discuss is "Know Your Graphics Software"
When I first tried to make my own clothing for SL, I barely knew how to use my graphics program; I currently am using Photoshop CS4 for a Mac. Not that I know it very well now, but I do know more than I did a few years ago. I consider myself a hobbist CS4 user. I got into the whole graphic software thing because of SL, and from talking to people, a whole slew of folks had little to no idea how to use a graphics program prior to entering SL either. So, if are new to graphic software, you are not alone! Okay for all of you that don't know me, I AM NOT a technical geek. If you want technical explanations or information, you will need to find another source instead of this blog. My goal is to put things in terms that are simple and hopefully, easily understood by the average person like me, who has little or no experience with 3D modeling, graphics, animation, scripting, or sound experience prior to coming to a virtual 3D world. The explanation is a bit technical (at least for me anyway) but should give you an idea what the Second Life Avatar (AV for short) is. 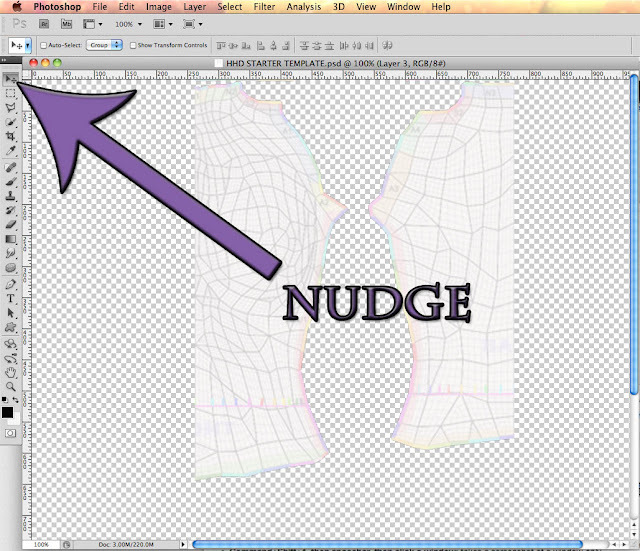 With clothing, you are making a 2D texture in a graphics program (Photoshop, PSP, Gimp, etc.) and wrapping it around the AV, which is a 3D object. For those of you new to UV Mapping check out the following description of what UV mapping is. http://en.wikipedia.org/wiki/UV_mapping. It should give you some idea what how the world of Second Life is created. Hell House Design is a tiny building and design business in a virtual world known as Second Life (SL). You can visit their web page at http://secondlife.com. There is differing opinions whether SL is a game or a social networking platform. Each SL Resident will have their own opinoin on the subject, and there are as many opinions as their are residents in-world. Whatever you call it, it can be quite fun or frustrating. Second Life, and it does require some getting use to. There is a rather high learning curve, although SL has tried to remedy this over the years with different viewer configurations.